Purchasing a brand new home is probably one of the most important investments you will ever make, so you need to make sure that everything goes according to the plan. After all, what could possibly go wrong if you are the first person to own the property and personalize it to your liking. With the moving day just around the corner, you are facing a lot of stressful situations regarding selling or renting out your old home or coming up on the end of a lease. Moving into a brand new home means that no one but you has lived there and you don’t need to perform any major repair works prior to the moving day. Furthermore, you are likely to save on your utility bills in the long run. Still, despite the numerous advantages, you need to pay extra attention when you are buying a brand new property. 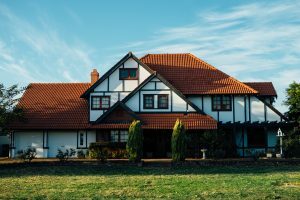 – If you are having your new home made to measure, make sure you keep track of the building process and examine the whole property, especially before completion. Communicate with the field manager and let him update you on how the construction process goes. – If any faults are identified, they should be repaired before the move-in date. A home inspector will examine the entire property and spot possible problems that you would normally miss. While performing a final walk-through with a professional inspector, make sure both minor and major issues are included in the inspection report. You shouldn’t close on the property until all faults are treated and repair works finished. – Prepare all documents needed for closing in advance. A reputable real estate agent may be a great help in terms of guiding you through the paperwork and legal procedures. Depending on the contract, you will need to sort out the finances by the closing date. – Have all the utilities switched to your name and turned on before you move in. – Be flexible about the closing date. It’s perfectly understandable that you can’t wait to finally move into your new place, but you shouldn’t make a tight schedule and book your movers NYC or other professional services for the closing date. Allowing some deadline flexibility will be beneficial for your moving plans and hopefully reduce the moving stress and frustration. – Have a moving checklist in order to keep track of relocation tasks and activities before, during and after the move. – A proper floor plan and labeling system will help you arrange your belongings in an efficient and time-effective manner. After all those months of waiting you can finally move into your brand new home and create new memories and experience. – Measure rooms and doorways so as to make sure there are no obstacles for large furniture pieces and appliances. – When you are moving into a brand new home you want to keep it in perfect condition during and after the moving process. Reputable movers know how to protect delicate wooden surfaces and how to move large furniture and appliances without making any damage to the walls and new floors. – You may want to have the locks changed just in case. Since a lot of people were involved in the construction phase, you may want to make sure that you and your family members are the only ones who have access to your property. Also, security alarms are usually standard fittings in newly built homes. It will take some time to unpack, settle into your nice custom home and get to know it. Give yourself enough time to enjoy the process of adjusting to a new home made just for your needs.